The Fischmarkt (Fish Market) is an excellent monthly event that takes place directly alongside the Rhine river. Beyond the great location, this extensive market features about 90 stands offering a wide range of food, drinks and unique products. Get inspired and discover new gear at Cyclingworld 2018, Germany’s new show for cycling culture. Over 180 exhibitors are scheduled to attend this year. Get all the details in our full article on this event. Admission: Regular priced day tickets are 10.00 Euro, a weekend ticket is 15.00 Euro. Kids under 12 years of age receive free admission. Discount tickets are offered, see official website for more info. (Right) Foyer Stiftung Museum Kunstpalast, Foto: Geerd Jacobs. Check out numerous live performances, music, food and films at 40 museums and galleries across the city as they celebrate into the night. Shuttle service will be provided and is included in the ticket price. Go on a culinary expedition as you sample international cuisines at Street Food Festival. You’ll find fine food trucks, professional chefs and amateur cooks serving up delicious dishes from around the world. 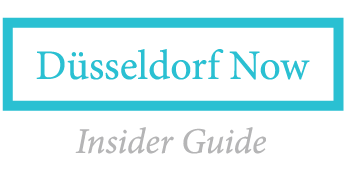 23 Free Things to Do in Düsseldorf – concerts, museums and a lot more.